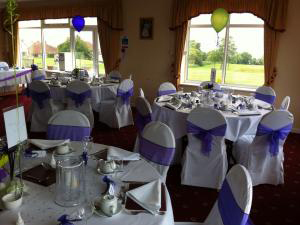 Weddings, Birthdays, Christenings, Anniversaries, In Fact Any Type Of Function Can Be Accommodated Here At The Club. Worlebury Golf Club is able to offer a full range of Bar and Catering facilities. These can be casual after match drinks and snacks through to a full sit down meal with wines of your choice. Details are available from our bar and catering staff.